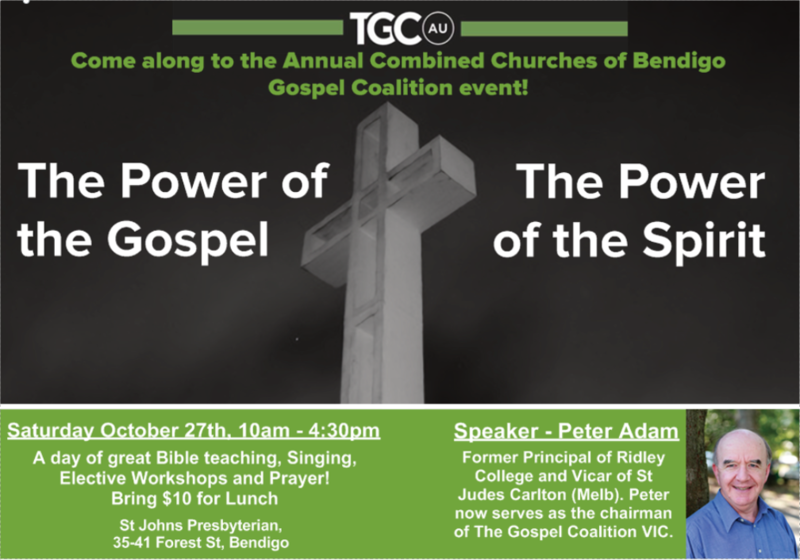 We are pleased to be hosting this day event on Saturday October 27th from 10am-4:30pm featuring keynote speaker, Rev Dr Peter Adam, electives on reading the Bible one-to-one with people in various contexts, a time of prayer for gospel growth and lunch together. All this just for the cost of lunch. Come and join us!